AthensLive: an independent platform set up to challenge Greece’s political elites. In 2015, Greece fell 50 places in the World Press Freedom Index to rank 91st. This established it as the second-lowest ranking for a country inside the European Union. Open Society Foundation has stated that Greece is the EU member state in the most acute journalistic crisis. However, under SYRIZA, journalists are not being beaten, arrested, or killed. There is no violent suppression by the government. The abysmal state of the Greek press is more complicated than that. According to Reporters Without Borders, the Greek press is in the hands of a few powerful media barons who for years have used it to further their business interests. The new government, headed by Alexis Tsipras, promised to end their monopoly. Greece moved two places up the rankings to 89 this year, but it is still unclear whether the election promise will be kept. AthensLive, a new independent media project is a collaboration between Greek and international journalists, including the visual journalists of FOSPHOTOS. 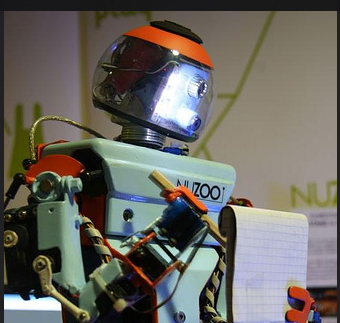 It hopes to build an alternative to a Greek press that is corporate-owned and bound to established political interests. The platform, which will be crowdfunded and independent, aims to provide English-language reporting, analysis, and commentary on the situation from Athens and throughout Greece. It promises its work will be accountable only to its readers. Tassos Morfis, a journalist and a co-founder of AthensLive said: “Nothing like this has existed in Greece before. Whether censor, owner, or subsidiser, the political elite has controlled Greek media for years, and clientelism has only worsened with six years of economic crisis. In fact, bailout conditions were rejected by a majority – 61% voted against. In the aftermath, it became evident that a memo was sent by influential members of New Democracy to key media outlets indicating the way the controversial vote should be covered. Strict editorial control is also used to uphold corporate interests. A particularly noteworthy case is the reporting of the 2014 Luxembourg Leaks. A reporter from Ta Nea, an Athens-based daily newspaper and the only official partner with the International Consortium of Investigative Journalists, (ICIJ) in Greece, was given exclusive access to the names of a number of influential Greek firms implicated in the tax avoidance scandal. Yet, Ta Nea only published a small article, without naming any of the companies. Across the board, mainstream Greek media created a self-imposed media blackout over the story. Many believe the media is little more than an instrument of political parties and corporations. While literacy and education rates are high in Greece, newspaper readership is very low (only 63 in every 1000 people bought a daily newspaper in 2000). Greece’s English-language media are considered to have the same political and corporate ties as their Greek-language counterparts. International media outlets are an alternative, but they have no commitment to telling the Greek narrative. Only riots or major banking incidents will bring their attention, and the result is a poor caricature of the country. The stifling economics of the Greek media landscape extend down to journalists’ work conditions, with an average monthly income of €581 or €490 for those under 25. Even that is considered fortunate. According to the Journalists’ Union of Athens Daily Newspapers, 20% of their journalists are unemployed, while 30% go unpaid altogether. With the financial crisis, there have been extensive layoffs and combined with strict editorial control, self-censorship is the only way to remain in the industry. Journalists who want to work outside these constraints see no options. Without the backing of these media conglomerates, in addition to already poor working conditions and low pay, there are increased risks of accusations of defamation (with the associated financial burden of court cases), blackmail and threats, and an untenable lack of resources. Professor Petros Iosifidis, speaking at City University in London last year, said a triangle of power exists in Greece between economic interests, politicians and the media. This has stifled objective and investigative journalism, he said. “Dealings between entrepreneurial interests (including banking ones) and the state can take many shapes and forms, including often using legislation to accommodate particular business interests. Such dealings are often ignored in the mainstream media, where a code of silence prevails resulting in an extensive cover-up of scandals,” Professor Iosifidis said. The growth of independent media platforms in Greece could break this nexus of power, the professor added. 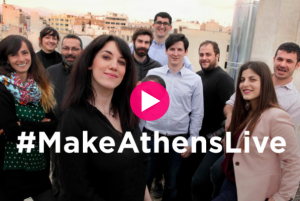 AthensLive will draw support from a range of fundraising techniques that have been tried and proven on other crowdfunded, subscription-sustained European media projects. 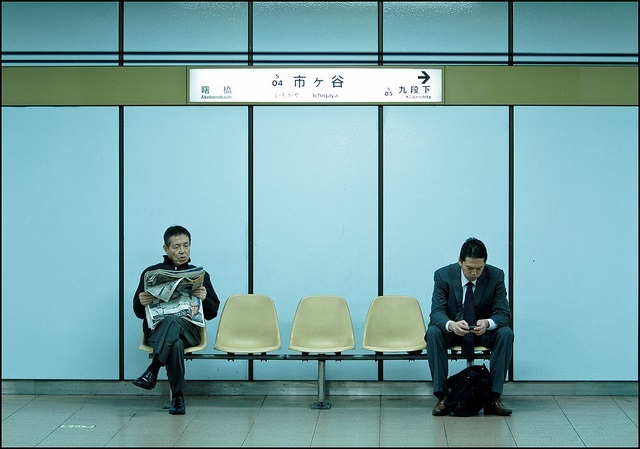 “We see digital media as an opportunity for pluralism and independence, but so far it has offered little other than low quality output, gossip, and blatant plagiarism. Additionally, without an alternative funding model, there is no way to avoid replicating the issues seen in print and television when digital journalists eventually do foray into areas such as investigative journalism. Remaining separate from political interest groups not enough. Relying on public contracts and the banking system through advertising and loans, as mainstream Greek media has historically done, is unsustainable. “AthensLive is different: we live here, we know the whole story, and we think the world needs to know it, too. Greece is more than their selective coverage of the refugee crisis and political turmoil. Through all of this remains a vibrant culture unseen by the rest of the world,” Morfis said. Bryn Retherford attended Boston University, studying both Philosophy and Women's and Gender Studies. She then moved to New York and worked in early childhood education. She is currently living and working in Athens.